now reading: How Would You Die in Outer Space? 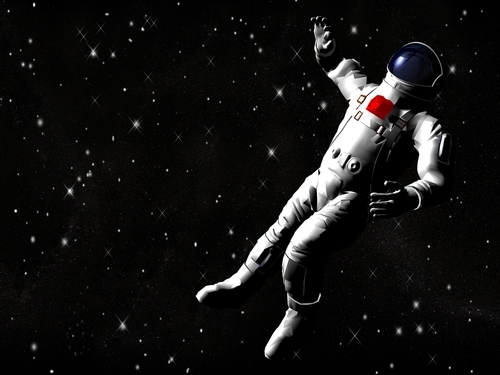 How Would You Die in Outer Space? Over the decades, Hollywood has exposed many hapless characters to the frigid, unforgiving vacuum of outer space, much to the guilty viewing pleasure of the audience. We, as members of that audience, have been fed countless cinematic, special effects treats involving flash-freezing, in-suit explosions, and -- my personal favorite -- a bulbous, ballooning Arnold Schwarzenegger. But, as entertaining as these gruesome scenes may be, they aren't entirely accurate. First You Bloat, Then You Burst. In the 1981 sci-fi jaunt, Outland, an unfortunate construction worker ruptures his space suit, begins to swell inside his apparel like batter filling a waffle iron, and finally explodes into smithereens. Though scintillating on the silver screen, this scene would never play out in real life. There have actually been cases of astronauts' body parts being briefly exposed to vacuums when their suits were damaged with no explosive or disastrous outcomes. Even if a suit-less human was exposed to outer space, they would neither excessively balloon nor burst. The air in one's lungs would expand, potentially causing tissue tearing, and water in soft tissues would vaporize, inducing swelling, but the tight seal of your skin would inhibit any biological fireworks. Hollywood take note: Just like cars don't always explode after being flung from cliffs, nor do humans explode when exposed to a vacuum. The 2007 indie sci-fi flick, Sunshine, showcased Danny Boyle's prodigious directorial talents, but not his knowledge of heat transfer. In a dramatic and memorable scene, one of the characters is killed by rapidly freezing to death when exposed to the cold vacuum of space. This would not happen. Though space is typically very cold -- most floating objects have a surface temperature of -454.8 degrees Fahrenheit -- a person would not instantly freeze because heat does not transfer away from the body very quickly. On earth, heat can be transferred via convection, but outer space is mostly nothingness. The only way to transfer heat is via infrared radiation. First off, the gas in your lungs and digestive tract would rapidly expand, inducing swelling. If you choose this inopportune chance to hold your breath, your lungs would likely burst and you'd be a goner. Any water directly exposed to the environment, such as the liquid on your eyes or tongue would boil off in a matter of seconds. About ten seconds into the ordeal, you would lose vision. Moments later, you would likely lose consciousness, a result of gas exchange working in reverse and oxygen being dumped from your blood. Your skin would discolor to a pallid shade of blue. After about one minute, circulation would stop altogether. After another minute, you'd be dead by asphyxiation. There is some good news to take away from this morbid message. You can likely survive unprotected in space for as long as 90 seconds, which is plenty of time to be rescued! Expiring in space is no picnic. In fact, a Hollywood ending might be preferable.